Scientists have expressed concern about an increase in seismic activity at one of Iceland's most dangerous volcanoes. The Oraefajokull volcano, dormant since its last eruption in 1727-1728, has seen a recent rise in seismic activity and geothermal water leakage that has worried scientists. With a 72ft snow hole on Iceland's highest peak deepening 18in each day, authorities have raised the volcano's alert safety code to yellow. Experts at Iceland's Meteorological Office have detected 160 earthquakes in the region in the past week alone as they step up their monitoring of the volcano. The earthquakes are mostly small but their sheer number is exceptionally high. 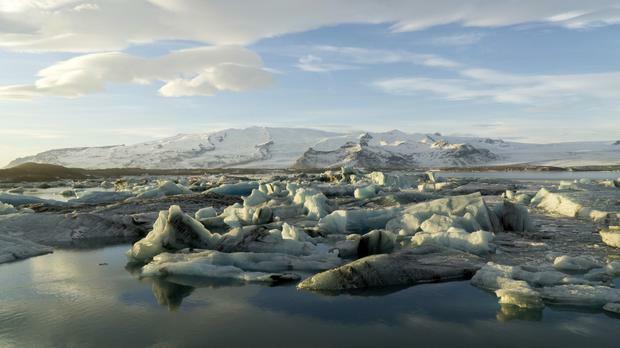 "Oraefajokull is one of the most dangerous volcanoes in Iceland. It's a volcano for which we need to be very careful," said Sara Barsotti, co-ordinator for volcanic hazards at the Meteorological Office. What worries scientists most is the devastating potential impact of an eruption at Oraefajokull. Located in south-east Iceland about 200 miles from the capital Reykjavik, the volcano lies under the Vatnajokull glacier, the largest glacier in Europe. Its 1362 eruption was the most explosive since the island was populated, even more explosive than the eruption of Italy's Mount Vesuvius in 79 AD that destroyed the city of Pompei. Adding to the danger is the lack of historical data that could help scientists predict the volcano's behaviour. "It's not one of the best-known volcanoes," Ms Barsotti said. "One of the most dangerous things is to have volcanoes for which we know that there is potential for big eruptions but with not that much historical data." Iceland is home to 32 active volcanic sites, and its history is punctuated with eruptions, some of them catastrophic. The 1783 eruption of Laki spewed a toxic cloud over Europe, killing tens of thousands of people and sparking famine when crops failed. Some historians cite it as a contributing factor to the French Revolution. The Eyjafjallajokull volcano erupted in April 2010, prompting aviation authorities to close much of Europe's airspace for five days out of fear that its volcanic ash could damage jet engines. Millions of travellers were stranded by the move. To remedy the lack of data for Oraefajokull, scientists are rushing to install new equipment on and around the volcano. Those include ultra-sensitive GPS sensors that can detect even the slightest tremors, webcams for real-time imagery of the volcano and sensors in the rivers that drain the volcano's glaciers to measure the chemical composition of the water. Police inspector Adolf Arnason is now patrolling the road around the volcano, which will be used for any evacuation, and residents have received evacuation briefings. "Some farmers have only 20 minutes (to leave)," he said, pulling up to a small farm on the flank of the mountain. If an evacuation is ordered, everyone in the area will receive a text message and the radio will broadcast updates. Police are confident that Oraefi's 200 residents will know how to react, but their biggest concern is contacting tourists. Iceland has seen a huge boom in tourism since the 2010 eruption - a record 2.4 million people are expected to visit this year and about 2,000 tourists travel through Oraefi every day. While some stay in hotels that could alert their guests, others spend the night in camper vans spread across the remote area. "The locals know what to do. They know every plan and how to react. But the tourists, they don't," said police chief superintendent Sveinn Runarsson.